Daily Illuminator: Munchkin Comic #15 Available Now! March 30, 2016: Munchkin Comic #15 Available Now! It's Wednesday, and that means new comics! 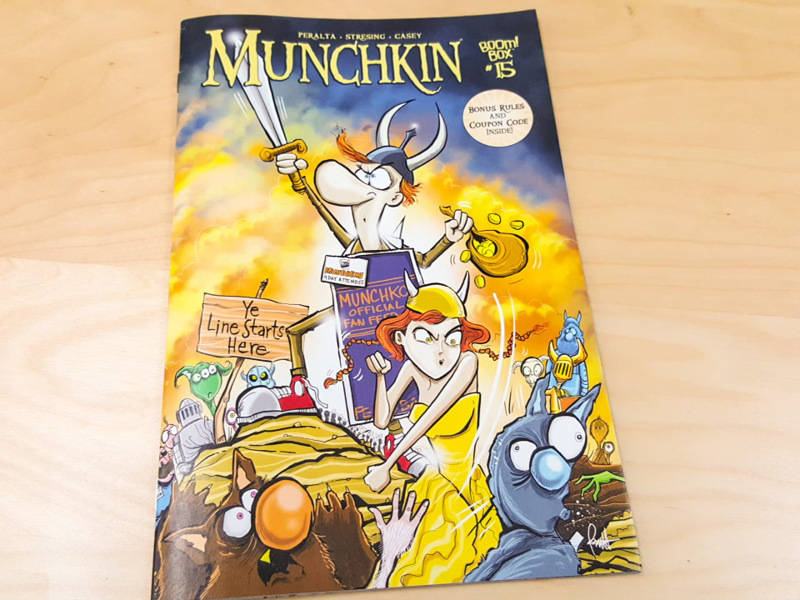 Munchkin Comic #15 from BOOM! Studios is available today, with art and story by Len Peralta! Spyke and Flower journey to and through a hive of scum and villainy . . . I mean fans and con-goers at Munchkon! 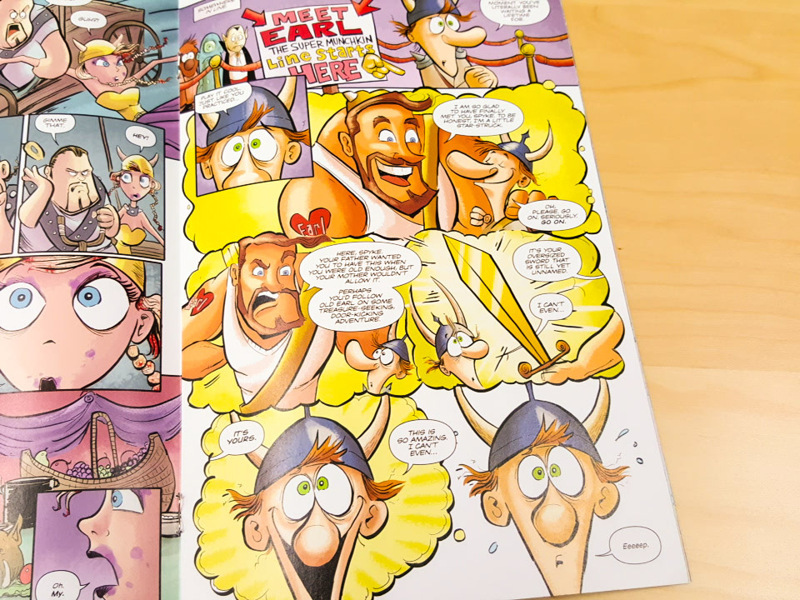 Does Earl the Super Munchkin live up to his name? Can Flower avoid the annoying neckbeards? Can either of them get a four-day badge without selling their soul? Ok, that last one may not get answered, but the others do. Visit your local comic store and pick up your copy today. And remember to check the back of the comic for a special rule, as well as a code for the Bookmark of Conventional Warfare from Warehouse 23!